You can help recognize these companies through the Vancouver Business Journal’s annual Best in Business Awards. 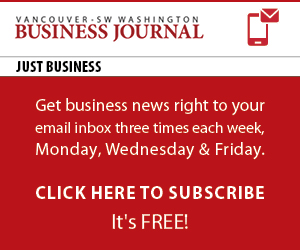 Businesses with the most votes in each category will be recognized in print and online in the Dec. 28, 2018, edition of the Vancouver Business Journal. Those businesses will also receive a Best in Business 2018 promotion kit to remind the entire business community of their accomplishment. To begin voting, click here. Use the hashtag #VBJBestInBiz to help promote your selections through social media. Check out the winners from 2018! Qualifying businesses to be recognized in the Vancouver Business Journal’s Best in Business are those who continue to provide the product or service you receive from their location in one or more of the three Southwest Washington counties of Clark, Cowlitz or Skamania. Only votes cast by Friday, Dec. 7, 2018, will be considered. Connection, server or other problems impeding delivery will not be considered for extending the voting period.